Hella driving lights include the Hella Optilux 2500 angel eye driving light kit. These hella 4" drive angle eyes lights come in a kit of 2 lights. Hella angel eyes has a distinctive angel eyes LED ring around them. 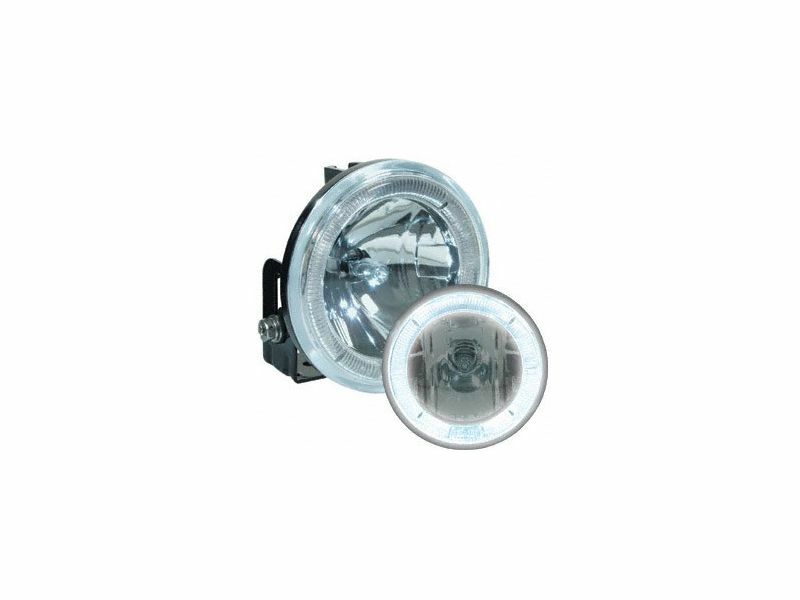 Hella optilux 2500 has die cast aluminum housing and a focused driving beam along with 55 watt H3 halogen bulbs. They are SAE and ECE compliant and the size is 4" Dia. x 3.1" D. The optilux 2500 driving lite kit includes: 2 lamps, heavy-duty mounting bracket, hardware, switch, deluxe wiring harness included. Hella, Inc. limited warranty guarantees Hella products to be free from defects in materials and workmanship for the period of (1) one year after retail purchase from an authorized Hella dealer. This guarantee does not cover damages from road hazards, improper wiring, installation or operation, or willful abuse. Warranty does not cover consequential damage, or damage or inconvenience caused by non-operation of the product. Hella's liability is limited to either free repair or free replacement of warranted merchandise of Hella's discretion. No credits or refunds will be issued. No warranty or guarantee, expressed or implied, exists with regard to bulbs unless specified.